The Philadelphia Eagles brought championship glory back to the City of Brotherly Love. And, on Saturday, April 28, at The Liacouras Center, the fighting city’s favorite sons will return home as they chase championship glory of their own. Philadelphia heavyweights BRYANT “BY-BY” JENNINGS and JOEY DAWEJKO battle it out for king of the neighborhood, while super middleweight contender JESSE “Hollywood” HART continues his drive back to a world title challenge when he faces DEMOND NICHOLSON. A stacked card was made even better with the addition of a world championship main event, as Las Vegas native Jessie Magdaleno will defend the World Boxing Organization (WBO) junior featherweight title against No. 1 contender Isaac Dogboe. Nicholson, a native of Laurel, Md., turned pro in 2013 after going 110-15 in the amateur ranks. Two fights ago, on June 9, 2017, he dropped a hotly contested eight-round split decision to the undefeated Steve Rolls, but rebounded with a second-round stoppage of Josue Obando on Aug. 25. Nicholson has 10 first-round knockouts on his ledger and hopes to bring that power to the ring against Hart, the WBO’s top contender. Magdaleno (25-0, 18 KOs), a southpaw from Las Vegas, won the world title with a unanimous decision over four-weight world champion Nonito Donaire on Nov. 5, 2016. Last April, he made quick work of Adeilson Dos Santos, stopping the Brazilian contender in the second round. He was scheduled to fight on Nov. 11, but an injury kept him out of action. Magdaleno, rested and recovered, looks forward to defending his title. Magdaleno and Dogboe, however, are not strangers. The two sparred years ago in Las Vegas, with each man claiming to have gotten the better of the sessions. Come April 28, they will put their unblemished records on the line. 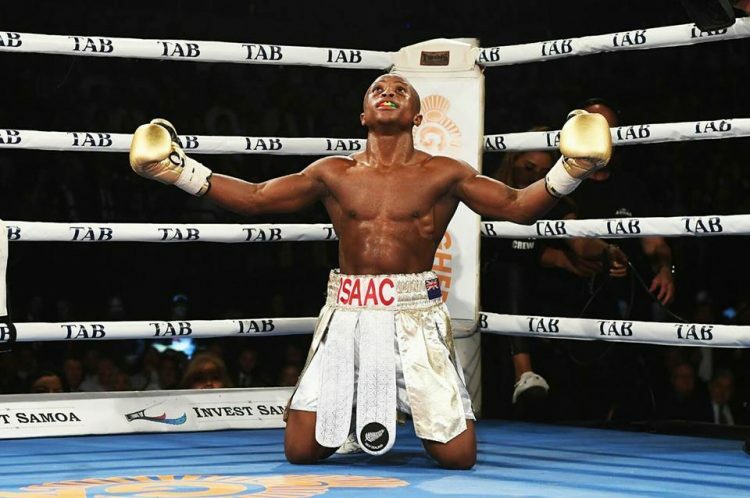 Dogboe (18-0, 12 KOs), a 2012 Olympian from the fighting city of Accra, Ghana, won the interim WBO junior featherweight title on Jan. 6 in Accra, thrilling the hometown fans with a fifth-round TKO of former world title challenger Cesar Juarez. A sweeping left hook knocked Juarez down, and referee Tony Weeks stopped the fight. Dogboe has won four of his last five fights by knockout.